While their careers have been at varying lengths, it is probably unlikely that Rodney Crowell, Sara Watkins and Patty Griffin have been backed by a finer assembly of musicians than those on Birmingham’s Symphony Hall stage this evening. First time Sessions invitees, Crowell and Griffin, added some high level cultured Americana to this year’s tour but in the true ethos of this longstanding project, the beauty is in the collaboration and the way the roots of two nation’s music can be entwined as one. In essence the rotation of guest vocalists is a seamless transition and to be fair who can argue with a generational four timer of Ruth Moody, Aoife O’Donovan, Sarah Jarosz and Sara Wakins since the inception of this blog reviewing the event in 2012. A near constant has been the dual backfield spearheaded by Messrs Douglas and Bain, with a total constant being the impeccable high standard of their cemented chosen players. Whether your interest lies in the folk music of these isles, bluegrass, Americana or straight down the middle good honest country music, then most tastes are catered for in a roots extravaganza lasting just a few minutes shy of three hours. One further guarantee is whatever your persuasion is you will leave the hall totally seduced by the whole talent on display. While there may be an unashamed bias towards our cousins from the New World in this feature, it would be totally remiss to not commend the vocal elegance of Kathleen MacInnes with her Gaelic interpretations or the entirely majestic English craft of Devon born singer-song writing guitarist John Smith. Throw in a solitary tune from Sessions stalwart John Doyle amongst the many fiddle, accordion and pipe pieces orchestrated by the golden trio of Bain, McCusker and McGoldrick, and a tidal wave of pride in how we preserve the musical heritage of these shores washes over an audience spoilt to the core. On an evening where the stature of Crowell, the grace of Griffin and the versatility of Watkins justified their special invitee status, it was a moment of pure gold instigated by a Session returnee which captured the appeal. Louisiana native Dirk Powell had already served up one gem but a four pronged fiddle attack on his song ‘Water Bound’ courtesy of Sara Watkins, Tim O’Brien, Aly Bain and John McCusker led you into a breathless state. Informed opinion prior to the show contrasted the respective classical and unorthodox playing styles of Bain and McCusker with the same mouth-watering conclusion of the combined sound being sheer bliss to the ear, a verdict easy to agree with. Over the course of three hours, the songs came in a rapid and almost symmetrical rotation with Griffin and Crowell leading the way with four apiece. Not afraid of covering the greats, Crowell served up a version of Hank Williams’ ‘Honky Tonk Blues’ alongside his popular number ‘Leaving Louisiana in the Broad Daylight’. On the other hand, in tandem with the countrified Lefty Frizzell song ‘Mom and Dad’s Waltz’, Griffin tipped her hat to the Dixie Chicks for cutting one of her finest compositions ‘Truth’ and celebrated by playing the writer’s not too dissimilar version. Another moment of pure Americana heaven saw Tim O’Brien sing lead on a gospel song supported solely by Jerry Douglas’s Dobro and a very high calibre American backing vocal trio. 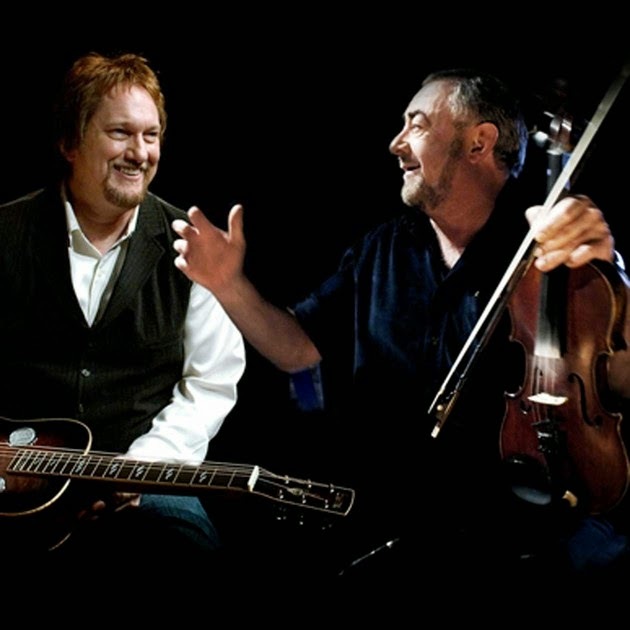 So ingrained in the psyche of folk, roots and Americana fans, it is unimaginable that Aly Bain and Jerry Douglas won’t co-ordinate this late winter annual touring project again, one that gives a little glimpse of spring, even on a cold February evening. Likewise little moments such as master bassist Danny Thompson’s brief two minutes in the spotlight and Russ Barenberg’s role switch from trusty sidekick to arch player would be a great miss. However all the indication is that the Transatlantic Session will continue to roll on down the twin roots highway providing a country to country feast which never settles for a watered down version of great genre music.